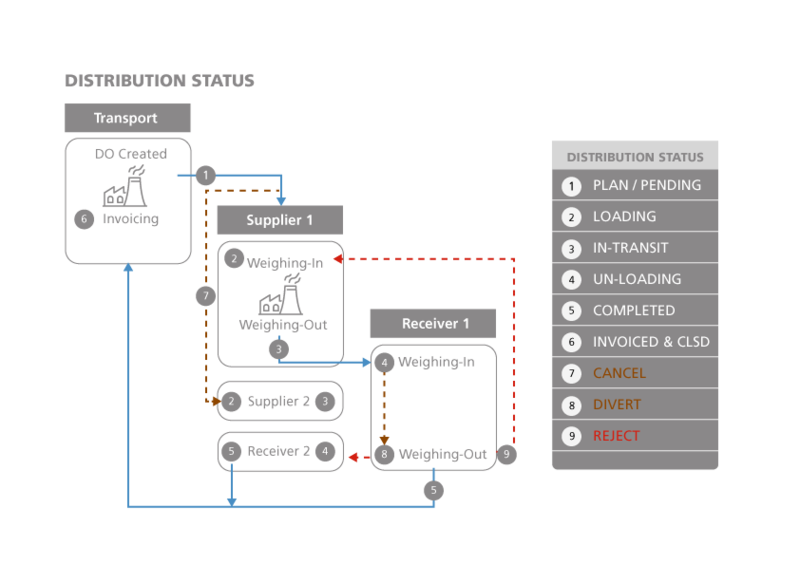 Due to its high volume of palm oil produced and distributed daily, an efficient palm oil distribution operation system among mills, refiners and bulkers is crucial to achieve cost efficiency, quality of delivery and timeliness of reporting. FELDA PRODATA SYSTEMS SDN BHD has embarked on an initiative to build an Integrated Logistic & Distribution System (ILDS) to enable these objectives. The system aims to integrate silo applications across millers, refiners, bulkers and transporters into a single platform to improve visibility and efficiency across FGVH palm oil distribution chain. ILDS avoid duplication of data entry and minimize manual documents to improve turnaround time for cross companies transactions. This will improve the data quality and facilitates timely information sharing across various stakeholders. In addition to that, it provides check-and-balance to minimize discrepancies across the supply chain and meet regulatory reporting requirements (e.g. MPOB). Provides check-and-balance to minimize discrepancies across the supply chain and meet regulatory reporting requirements (e.g. MPOB).